Chairman of the Board, Baytex Energy Ltd.
Mr. Chan was appointed Chairman of the Board of Baytex on June 1, 2014. He originally joined Baytex in October 1998 and has held the following positions: Senior Vice President and Chief Financial Officer (October 1998 to August 2003); President and Chief Executive Officer (September 2003 to November 2007); Chief Executive Officer (December 2007 to December 2008); Interim Chief Executive Officer (May 2012 to September 2012) and Executive Chairman (January 2009 to May 2014). Mr. Chan has been a director of Baytex since October 1998. Mr. Chan has held senior executive positions in the Canadian oil and gas industry since 1982, including Chief Financial Officer titles at Tarragon Oil and Gas Limited, American Eagle Petroleums Ltd. and Gane Energy Corporation. Mr. Chan holds a Bachelor of Commerce degree and is a chartered accountant. President and Chief Executive Officer, Baytex Energy Ltd.
Mr. LaFehr joined Baytex as President on July 18, 2016 and was appointed Chief Executive Officer on May 4, 2017. Mr. LaFehr has nearly 35 years of experience in the oil and gas industry working with Amoco, BP, Talisman and the Abu Dhabi National Energy Company ("TAQA") in various geographies. Before joining Baytex, Mr. LaFehr was President of TAQA's North American oil and gas business which led to his subsequent role as Chief Operating Officer of TAQA, globally. Prior to this, he served as Senior Vice President for Talisman Energy, accountable for its Canadian business. Mr. LaFehr has a long track record of success in the oil and gas industry leading organizations, growing assets and joint ventures, and driving capital and cost efficiencies. Mr. LaFehr holds Masters degrees in geophysics and mineral economics from Stanford University and the Colorado School of Mines, respectively. Mr. Bly was appointed to the Board on November 1, 2017. Mr. Bly is an independent businessman with over 35 years of experience in the oil and gas industry, primarily with BP, a global producer of oil and gas. Since retiring from BP in 2013, Mr. Bly has worked with private oil and gas production and service companies serving as an executive, a board member and advisor. At BP, Mr. Bly held various senior leadership roles in its domestic and international operations, including leading the North American onshore unit, Group Vice President for approximately 25% of BP's global production, and Executive Vice President of Group Safety and Operational Risk. Mr. Bly holds a Master of Science degree in structural engineering from the University of California, Berkeley and a Bachelor of Science degree in civil engineering from the University of California, Davis. Mr. Bowzer served as Chief Executive Officer of Baytex from September 2012 to May 2017. He also served as President from September 2012 to July 2016. Mr. Bowzer is a petroleum engineer with significant experience in the upstream oil and gas industry in North America and internationally. Prior to joining Baytex, Mr. Bowzer worked for Marathon Oil Corporation in Houston, Texas for over 30 years where he held various leadership and technical positions in its domestic and international operations. Most recently, Mr. Bowzer was Vice President for Marathon where he was responsible for its operations throughout the United States and Canada. Mr. Bowzer has a Bachelor of Science degree in Petroleum Engineering from the University of Wyoming and completed the Advanced Management Program at the Graduate School of Business at Indiana University. Mr. Chwyl served as Lead Independent Director of Baytex from February 2009 to May 2017. From September 2003 to December 2008, Mr. Chwyl was our Chairman. Mr. Chwyl holds a Bachelor of Science degree in Chemical Engineering and a Master of Science degree in Petroleum Engineering. He is a retired businessman with over 35 years of experience in the oil and gas industry in North America, most notably as President and Chief Executive Officer of Tarragon Oil and Gas Limited from 1989 to 1998. Prior thereto, he held various technical and executive positions within the oil and gas industry in Canada and the United States. Ms. Curran holds a Bachelor of Arts degree in English and a Bachelor of Laws degree (both with distinction) from the University of Saskatchewan and the ICD.D designation from the Institute of Corporate Directors. She is a retired businesswoman with extensive experience in executive compensation, mergers and acquisitions, financing and governance. She served as an officer of Canadian Oil Sands Limited from September 2002 to the time of its sale in February 2016. As Senior Vice President, General Counsel & Corporate Secretary of Canadian Oil Sands Limited, she was responsible for legal, human resources and administration and a member of the executive team focused on strategy and risk management. From 2003 to 2016, she was a director of Syncrude Canada Ltd., where she served as chair of the Human Resources and Compensation Committee and as a member of the Pension Committee. She serves on the Executive Committee of the Calgary chapter of the Institute of Corporate Directors, is a member of the board and the Finance and Audit Committee of Kids Cancer Care Foundation of Alberta and is a member of the Alberta Securities Commission. Mr. Dargan holds a Bachelor of Arts (Honours) degree in Mathematics and Economics, a Master of Business Administration degree and a Chartered Business Valuator designation. He has been an independent businessman since June 2003. Prior thereto, he worked for over 20 years in the investment banking business, finishing his investment banking career as Senior Managing Director and Head of Energy Investment Banking for Raymond James Ltd.
Mr. Melchin holds a Bachelor of Science degree (major in accounting) and a Fellow Chartered Accountant designation from the Institute of Chartered Accountants of Alberta. He has also completed the Directors Education Program with the Institute of Corporate Directors. He is currently the Chairperson of PPP Canada Inc., the Canadian federal government's public-private partnership office. Mr. Melchin was a member of the Legislative Assembly of Alberta from 1997 to March 2008. Among his various assignments with the Government of Alberta, he was Minister of Energy, Minister of Seniors and Community Supports and Minister of Revenue. Prior to being elected to the Legislative Assembly of Alberta, he served in various management positions for 20 years in the Calgary business community. Ms. Peters holds a Bachelor of Science degree (major in finance) and a Master of Business Administration degree. She has also completed executive management programs at Penn State University and Indiana University and the Oxford Energy Seminar. She is a retired businesswoman with over 30 years of experience in the petroleum industry, most notably as Senior Vice President, Transportation and Logistics from 2009-2010 and Senior Vice President, Marketing from 1998-2009 at Marathon Petroleum Company LP. Prior thereto, she held various technical and management positions with Marathon. 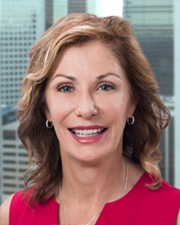 Ms. Peters’ previous board experience includes acting as Chairman of the Board of Managers for Louisiana Offshore Oil Port and as a director of Colonial Pipeline Company. President and Chief Executive Officer, Crew Energy Inc.
Mr. Shwed holds a Bachelor of Science degree specializing in Geology. He has been President and Chief Executive Officer of Crew Energy Inc. since September 2003. Prior thereto, he was President and Chief Executive Officer of Baytex Energy Ltd. from 1993 to August 2003. He commenced his career in the oil and gas industry in 1980.